ï»¿ Moving Company In Dallas. 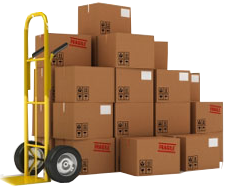 We are moving easy and comfortably for our customers. Our moving company needs movers and drivers. We pay movers $12 and drivers $14 an hour. We need workers with good quality skills. Experience is prefered. Nesesito trabajadores Y manejadores con experiensia para mover casas Y apartamentos. $12 o $14. Hours of operation: 8 a.m. - 8 p.m. 7 days a week. Copyright Â© 2015 God Brothers and Sisters. All rights reserved.